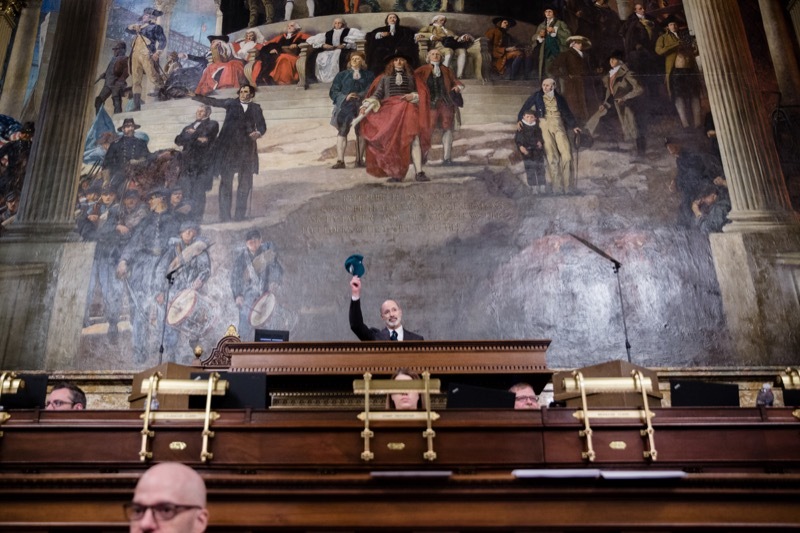 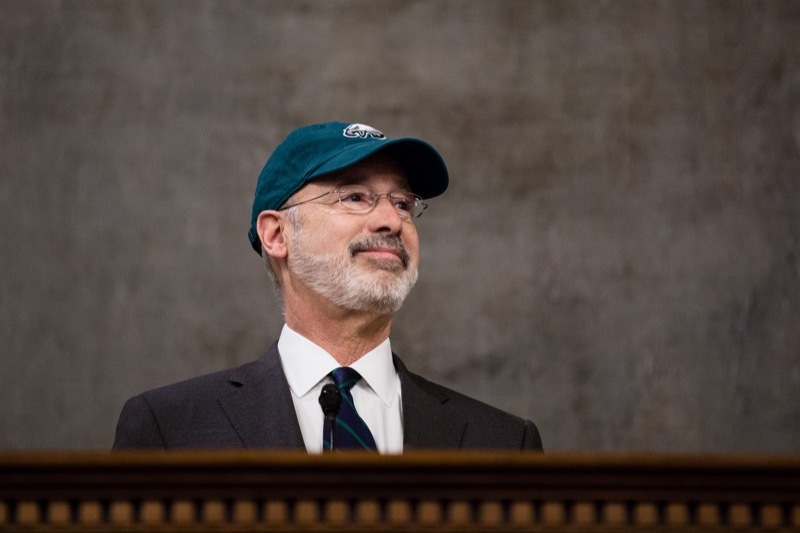 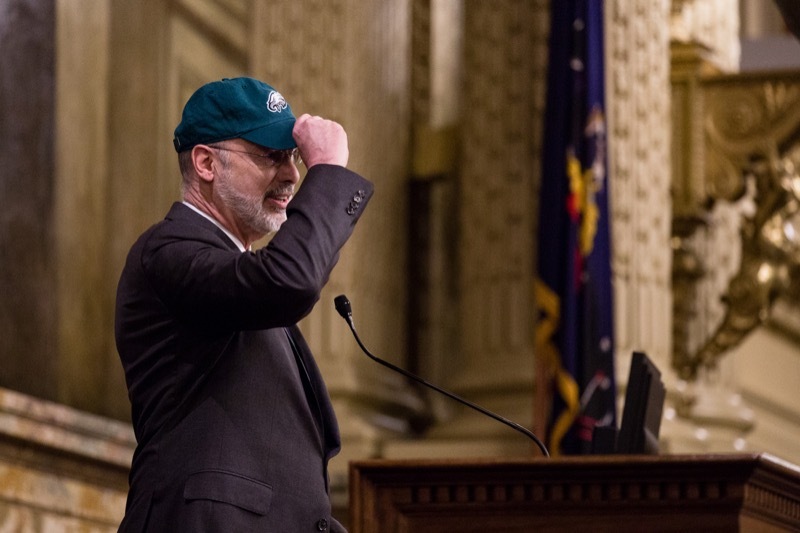 Today, during his annual budget address, Governor Tom Wolf surprised guests in the House Chamber by wearing an Eagles hat during the beginning of his speech. 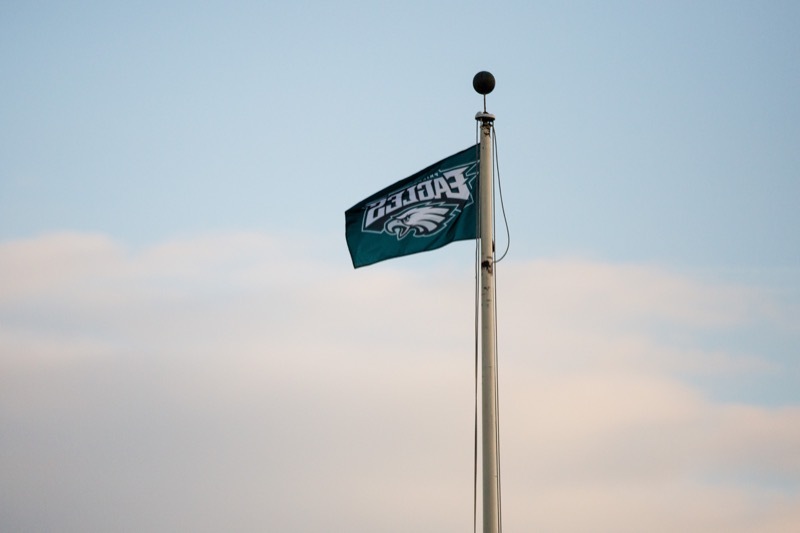 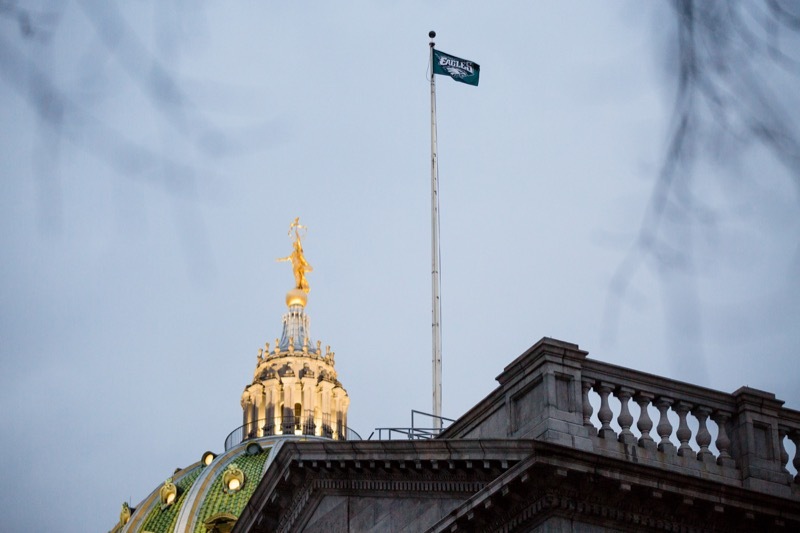 Later, the Wolf Administration flew a Philadelphia Eagles flag over the Capitol in honor of the team's Super Bowl LII victory. 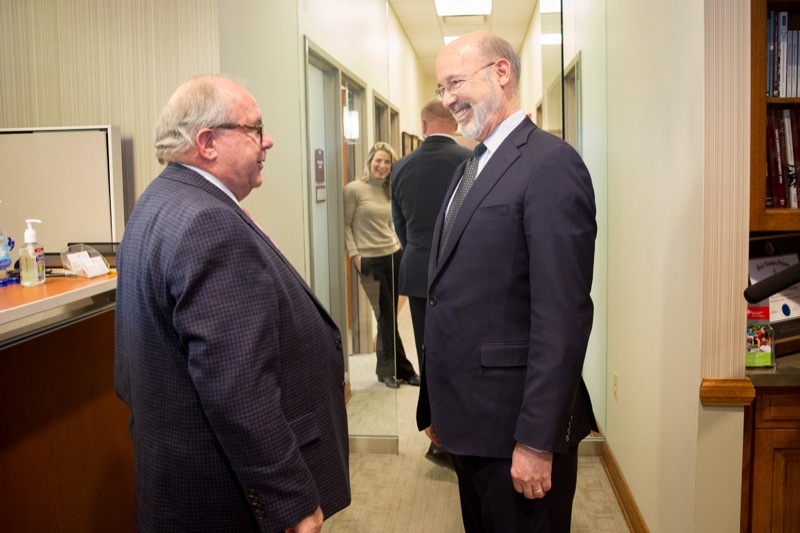 Pennsylvania's own world-famous groundhog, Punxsutawney Phil, predicted six more weeks of winter this morning at Gobbler's Knob in Punxsutawney, Pennsylvania after seeing his shadow. 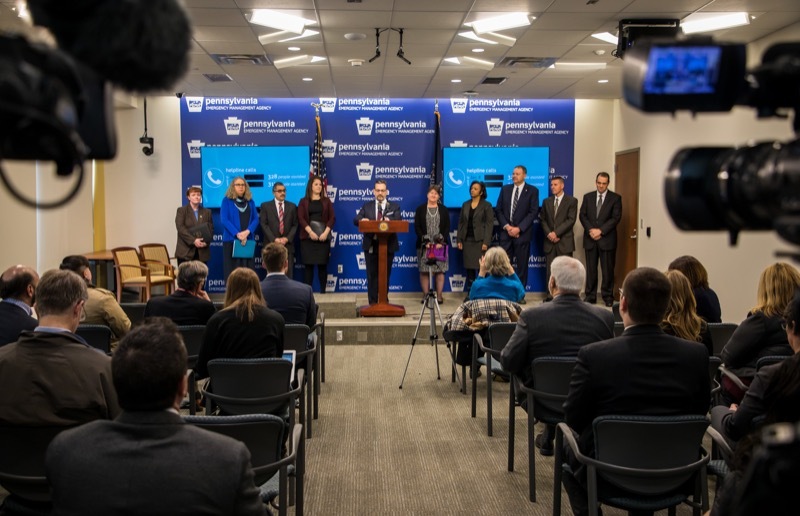 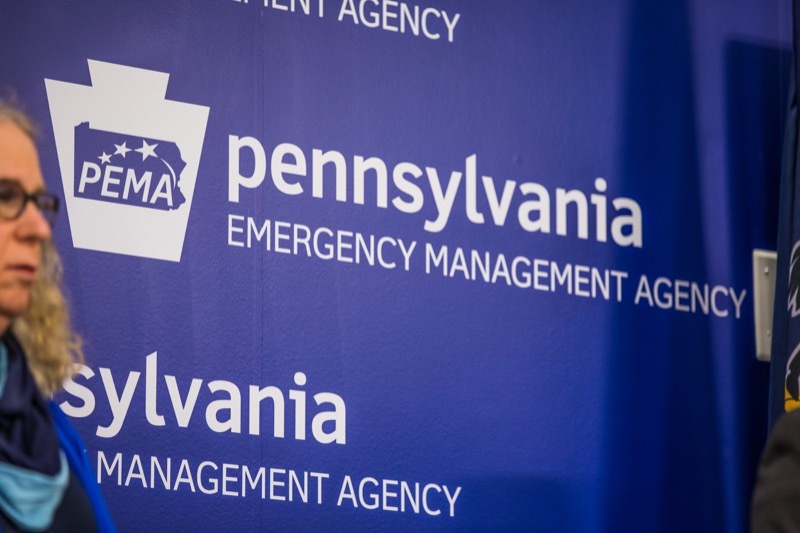 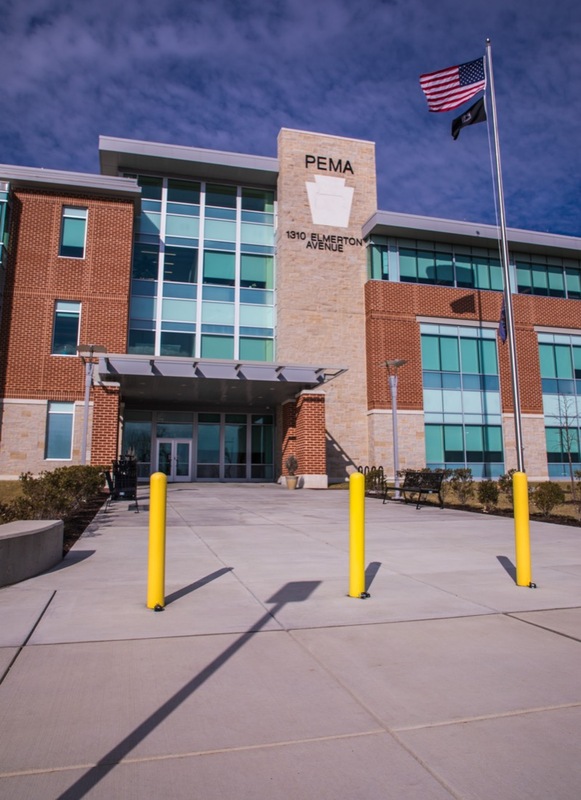 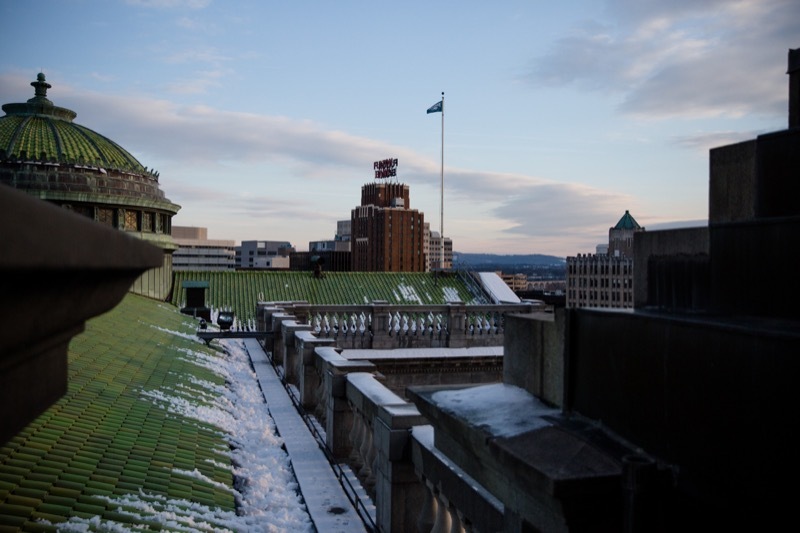 Governor Tom Wolf announced that the Commonwealth Response Coordination Center is activated and the Pennsylvania Emergency Management Agency and state agencies are coordinating with local agencies to respond to the severe winter storm impacting the state with high winds and heavy snow. 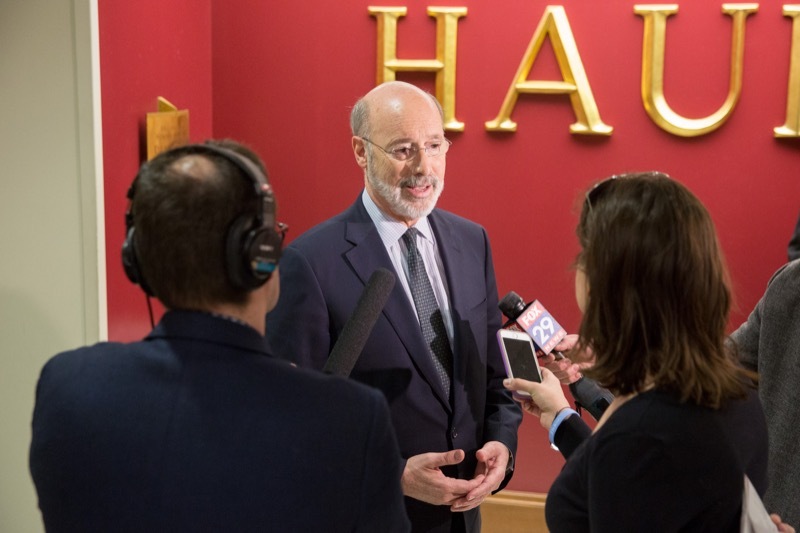 Governor Wolf urged residents to be careful and heed warnings from law enforcement and first responders. 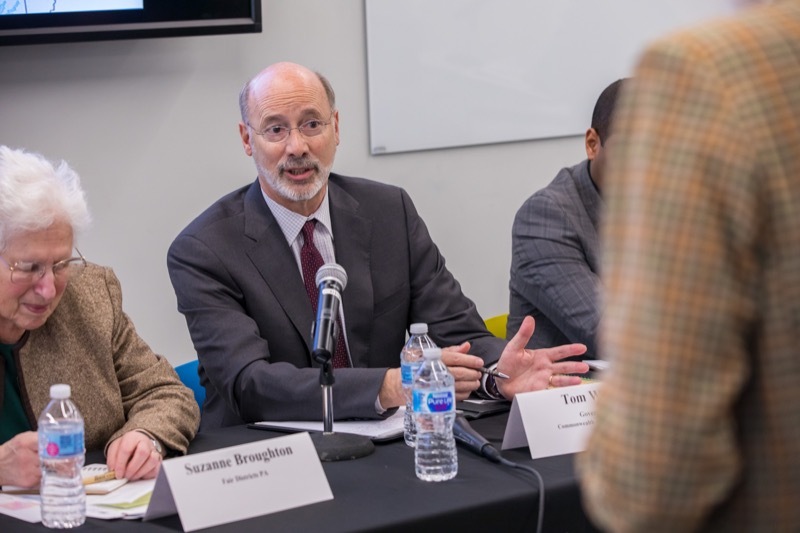 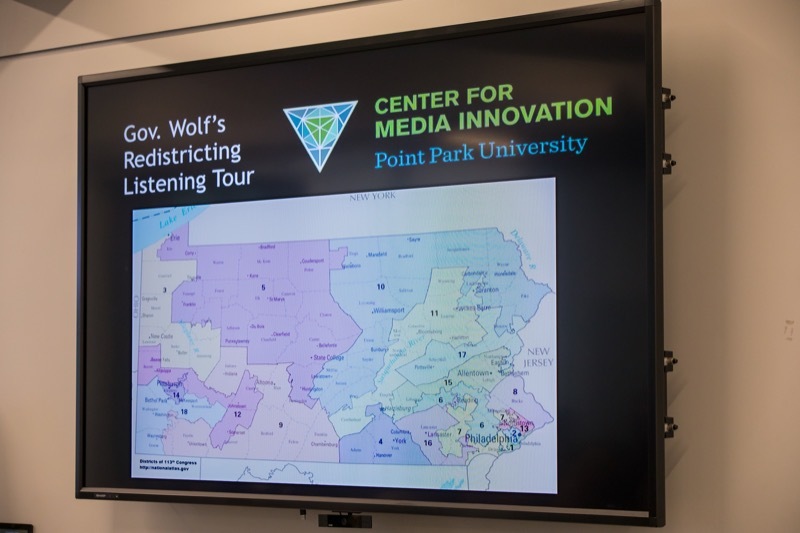 Governor Tom Wolf concluded a cross-state series of listening sessions today at Point Park University to hear from faculty, students, community leaders, and residents for a discussion on gerrymandering and the process to redraw congressional district boundaries. 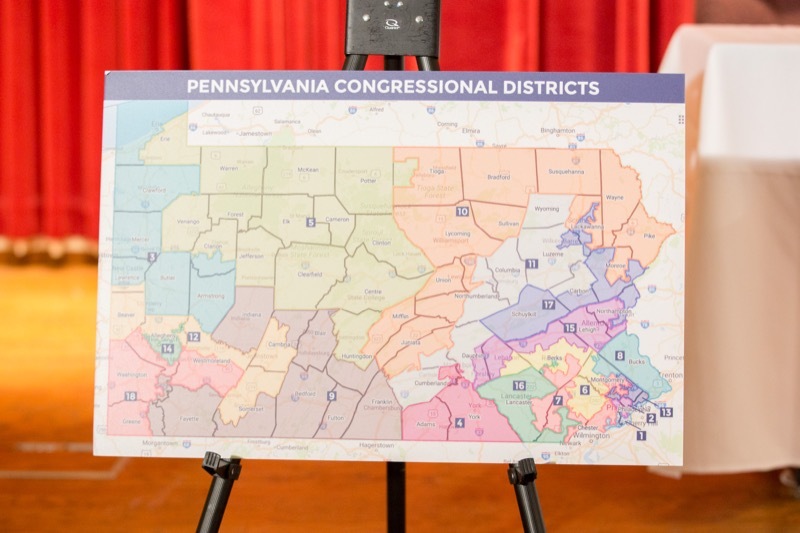 The General Assembly has until February 9 to draft new congressional districts after the Pennsylvania Supreme Court determined the current maps are unconstitutional. 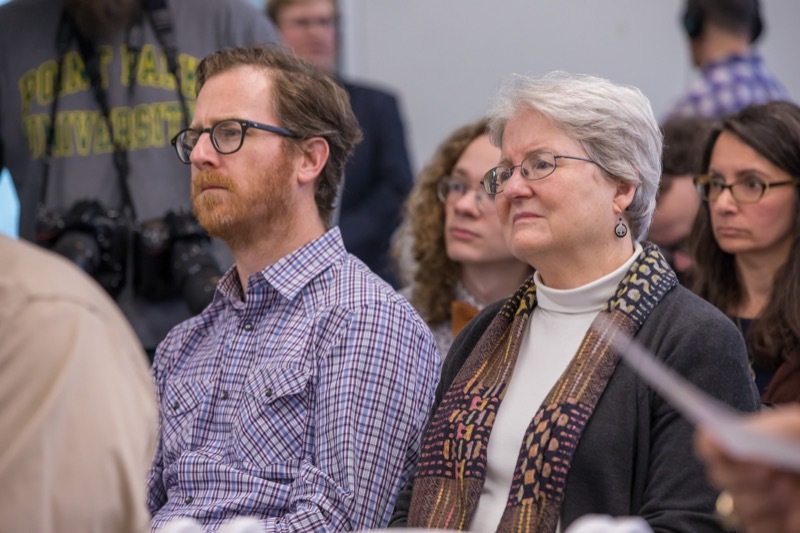 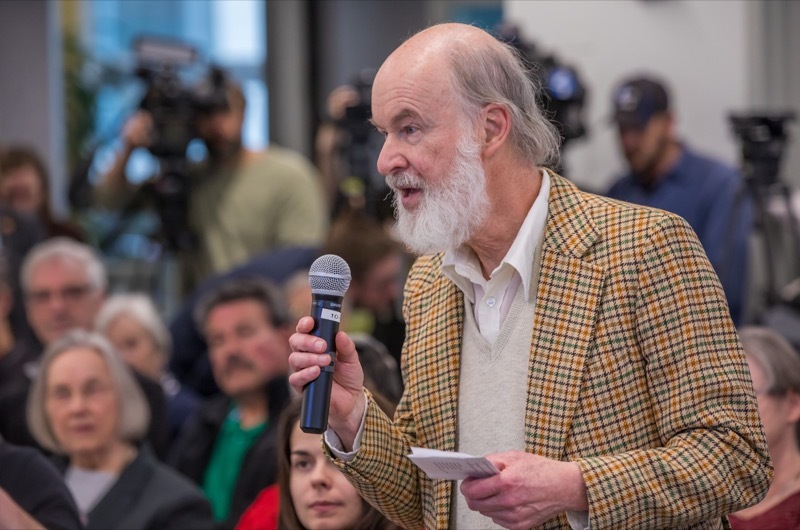 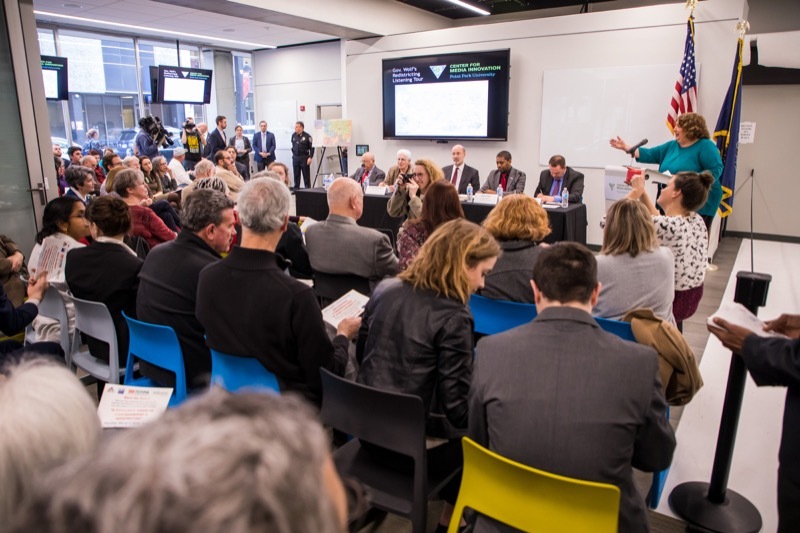 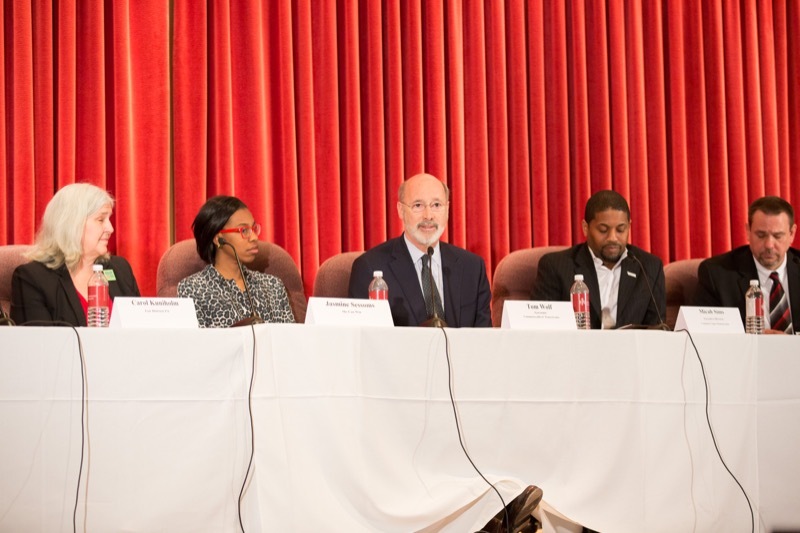 Pittsburgh, PA - Governor Tom Wolf concluded a cross - state series of listening sessions today at Point Park University to hear from faculty, students, communi ty leaders, and residents for a discussion on gerrymandering and the process to redraw congressional district boundaries. 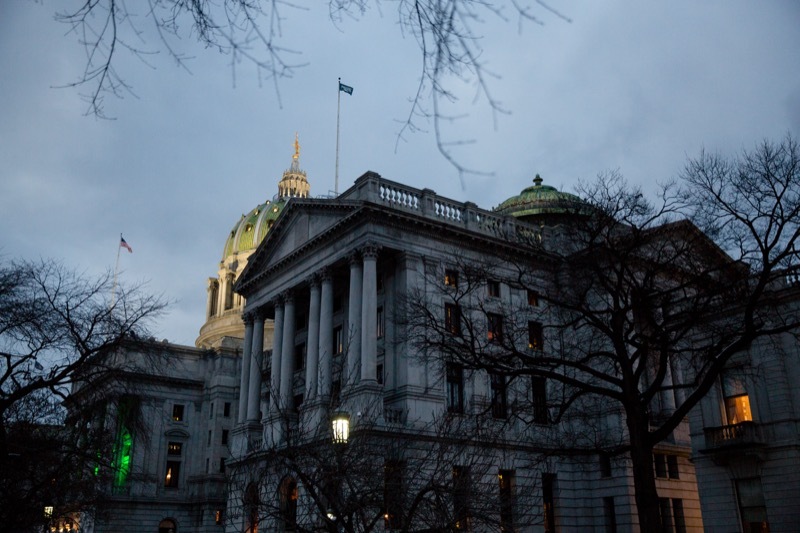 The General Assembly has until February 9 to draft new congressional districts after the Pennsylvania Supreme Court determined the cur rent maps are unconstitutional. 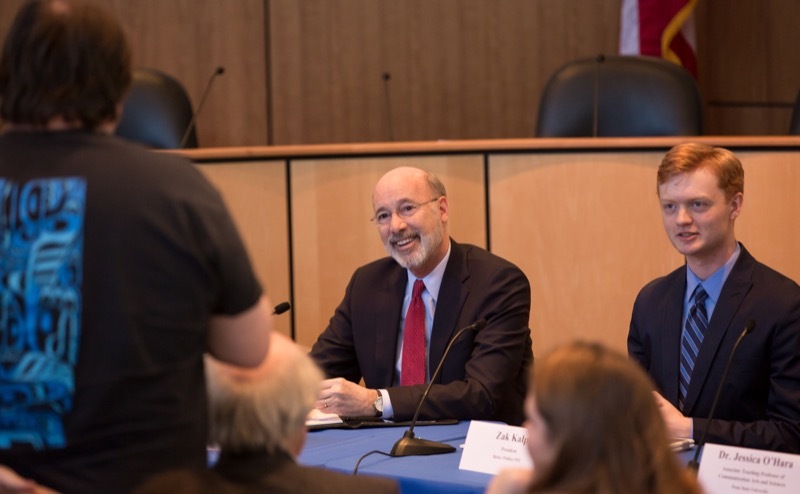 Today, Governor Tom Wolf was joined by Saint Joseph's University faculty and students, community leaders, and residents for a non-partisan panel discussion on gerrymandering in the commonwealth. 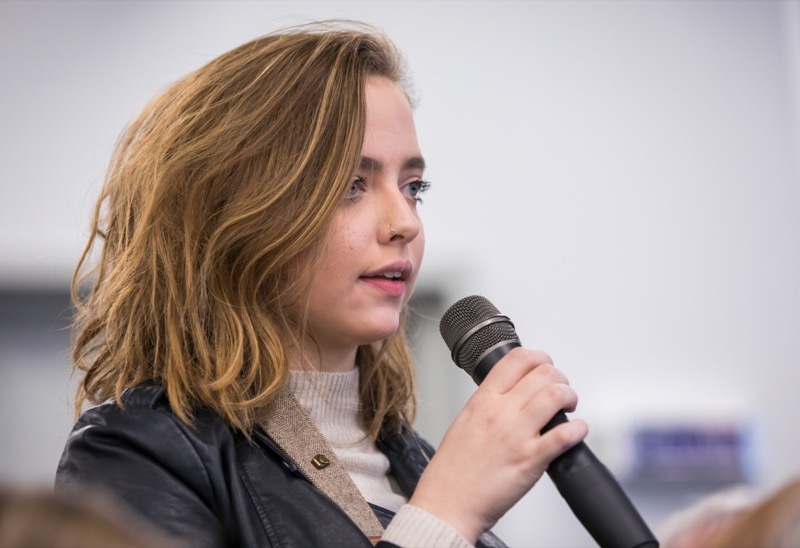 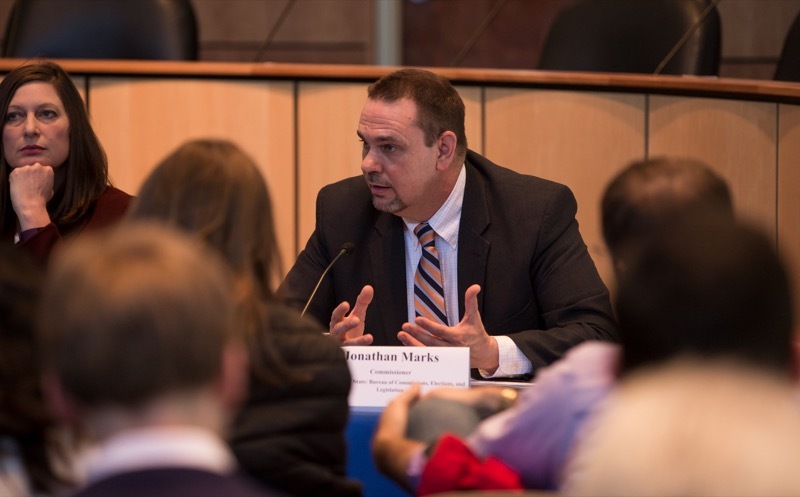 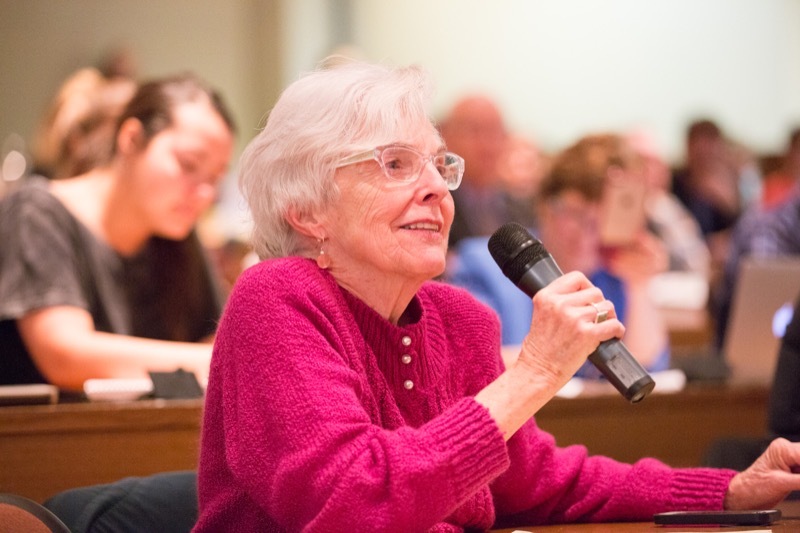 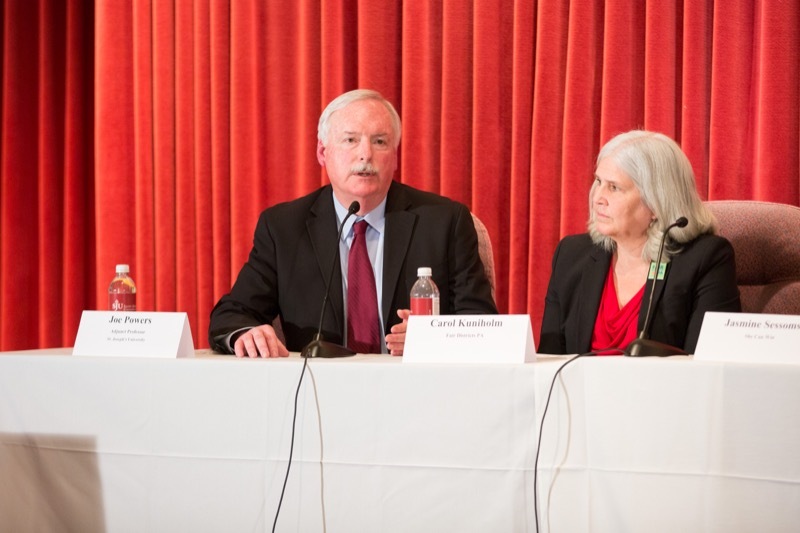 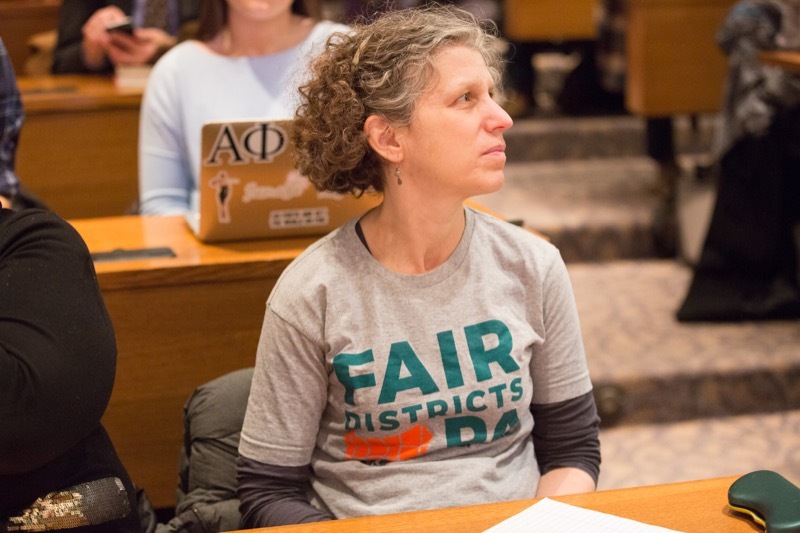 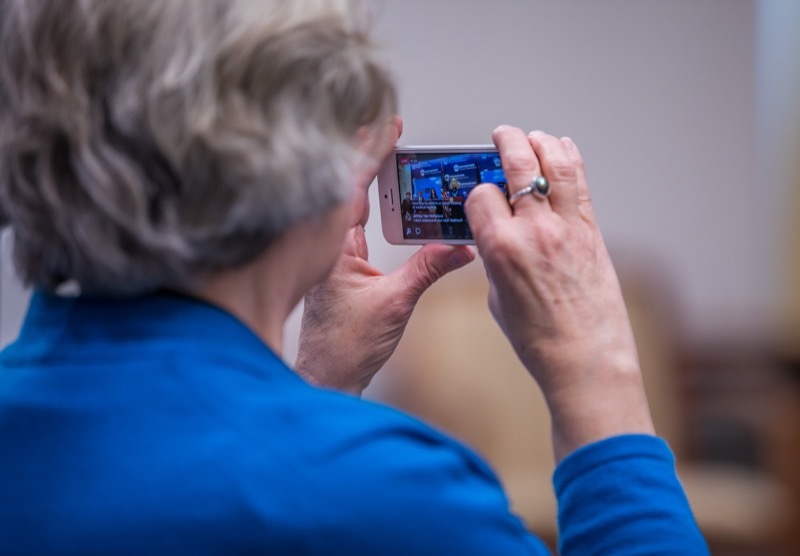 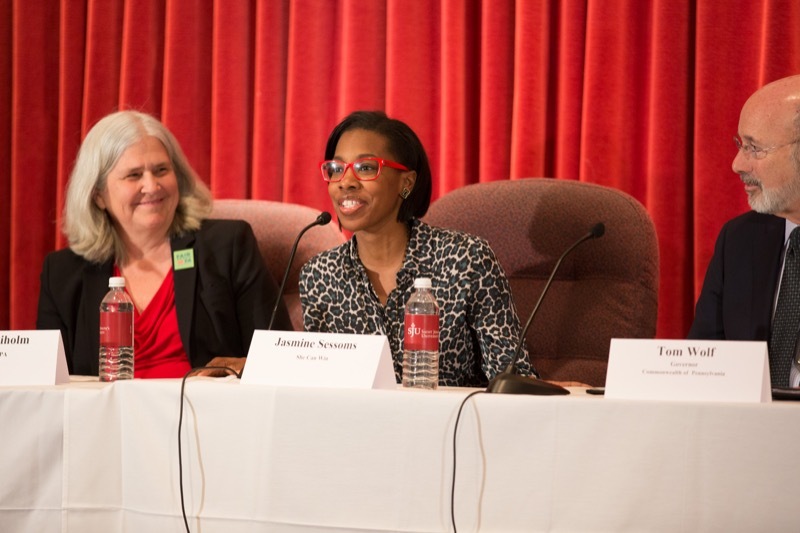 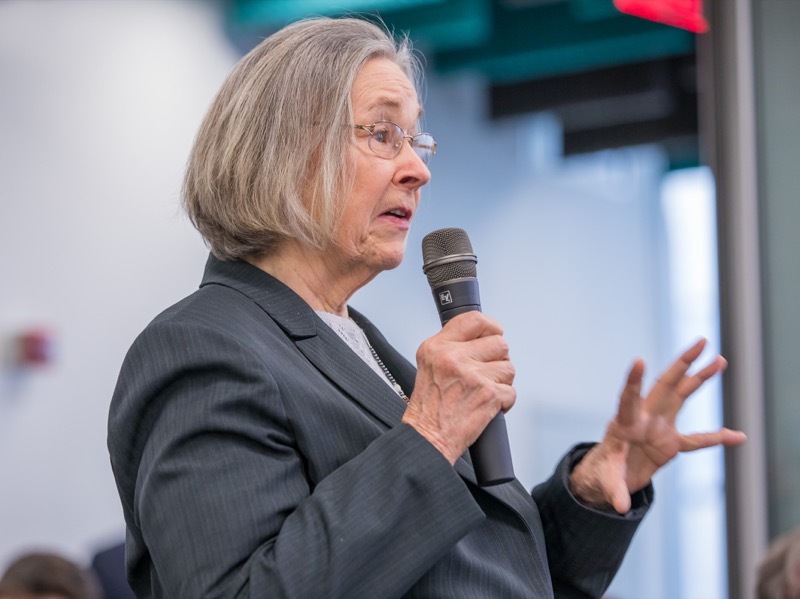 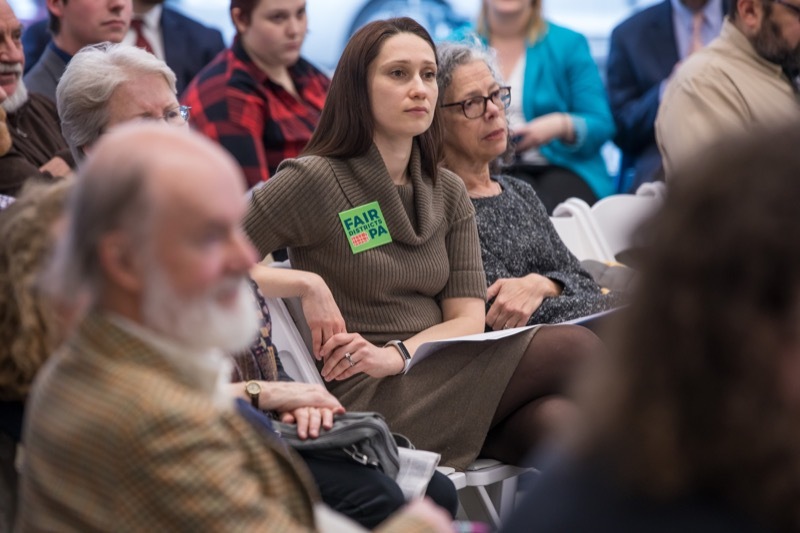 Nearly 200 constituents joined the discussion on how the current Congressional map affects their representation and how they feel redistricting should be approached. 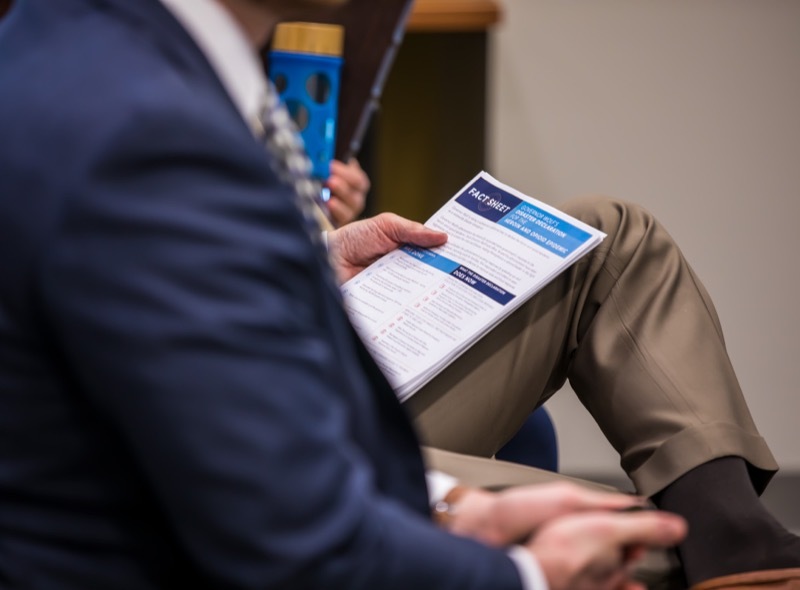 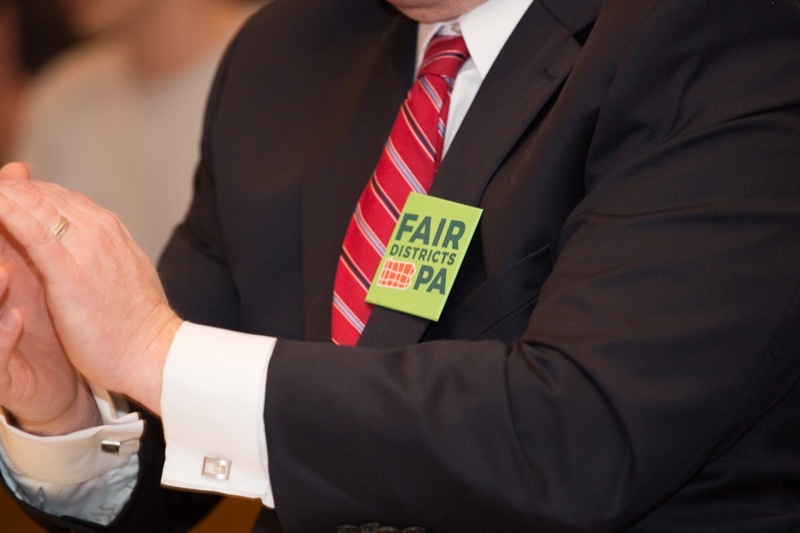 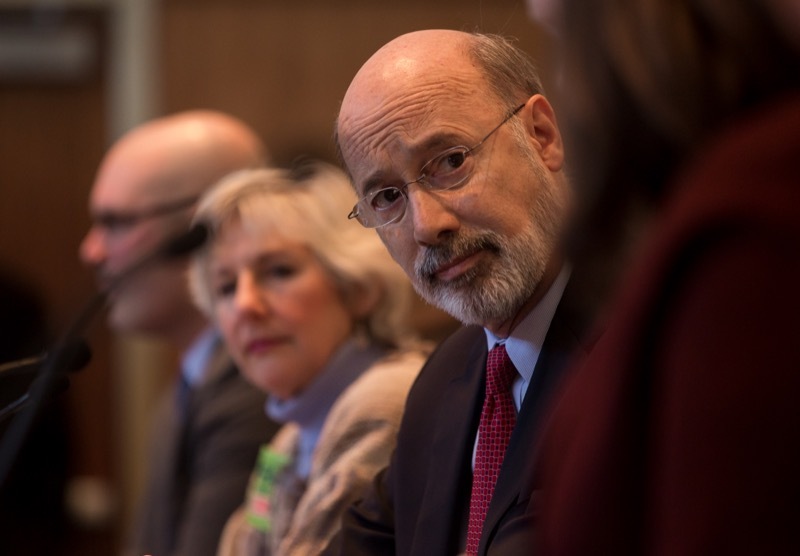 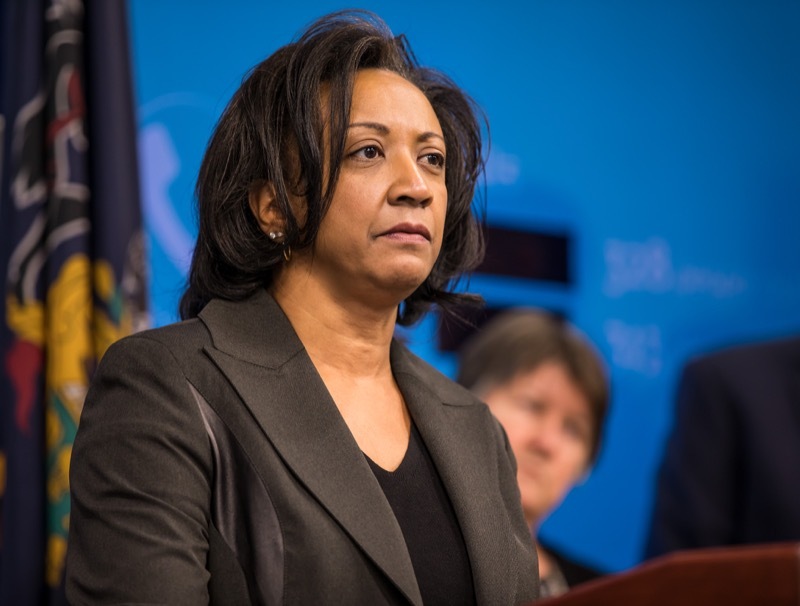 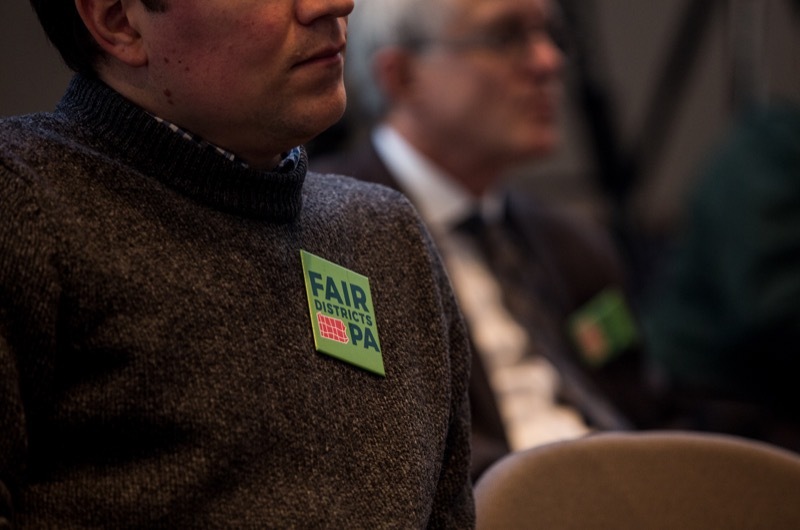 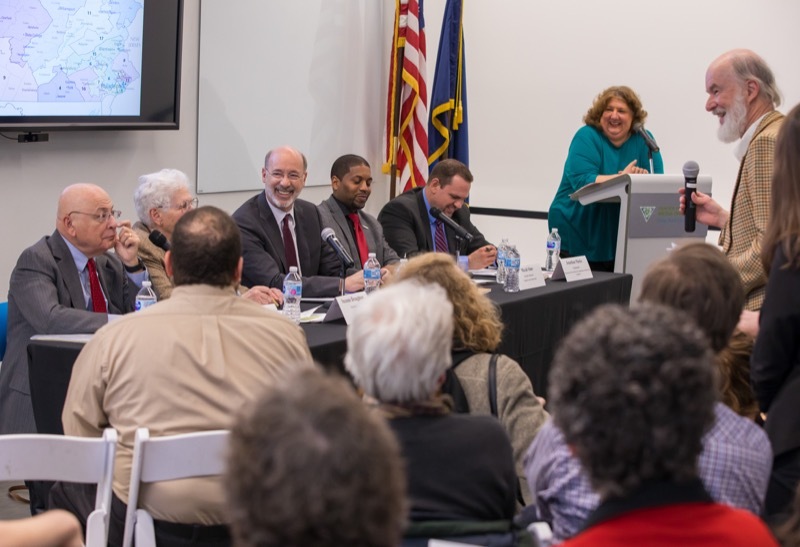 This was the second in a series of listening sessions the governor will hold across Pennsylvania in advance of the February 9 deadline for the General Assembly to deliver a redrawn Congressional map. 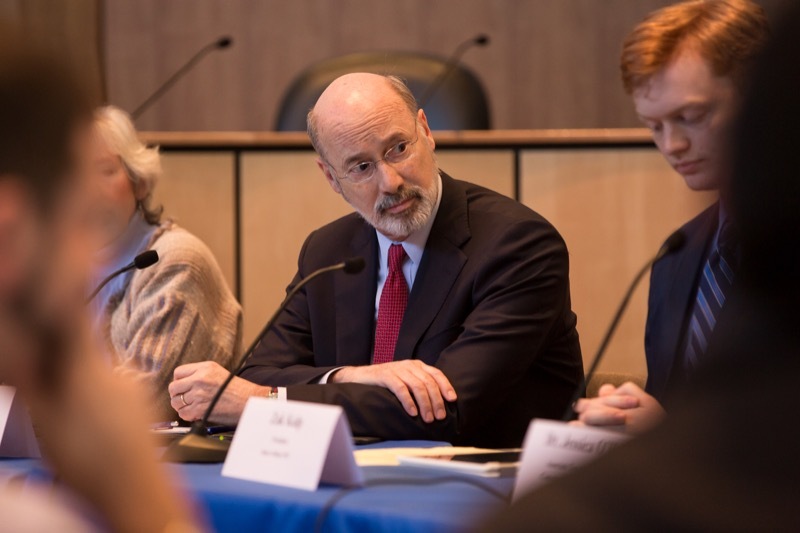 The first session took place yesterday in State College. 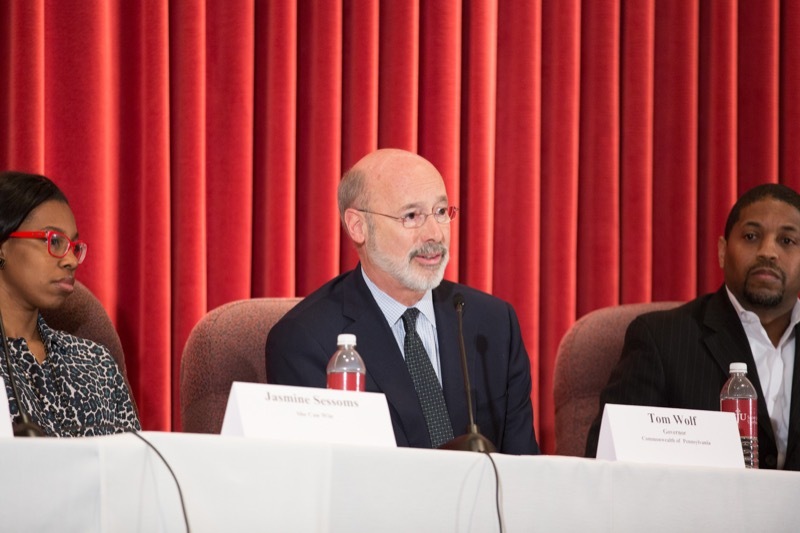 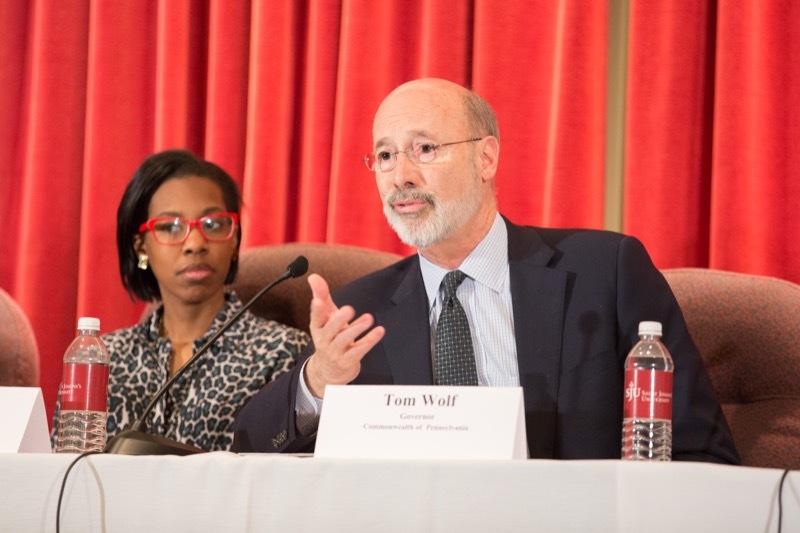 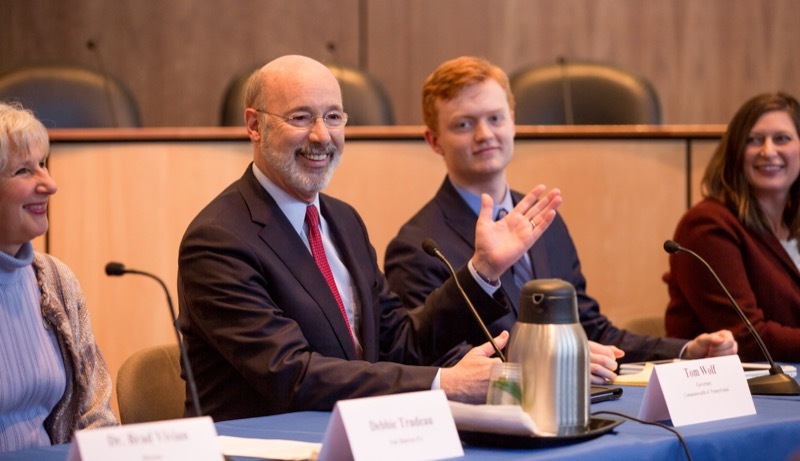 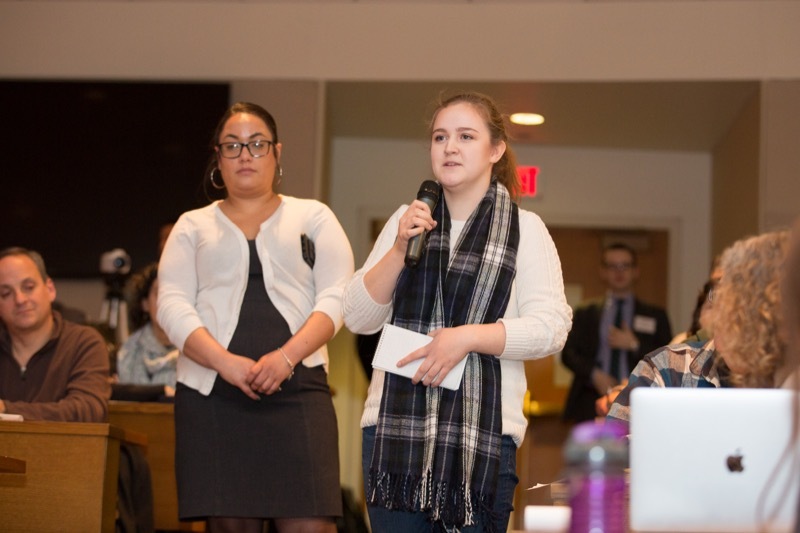 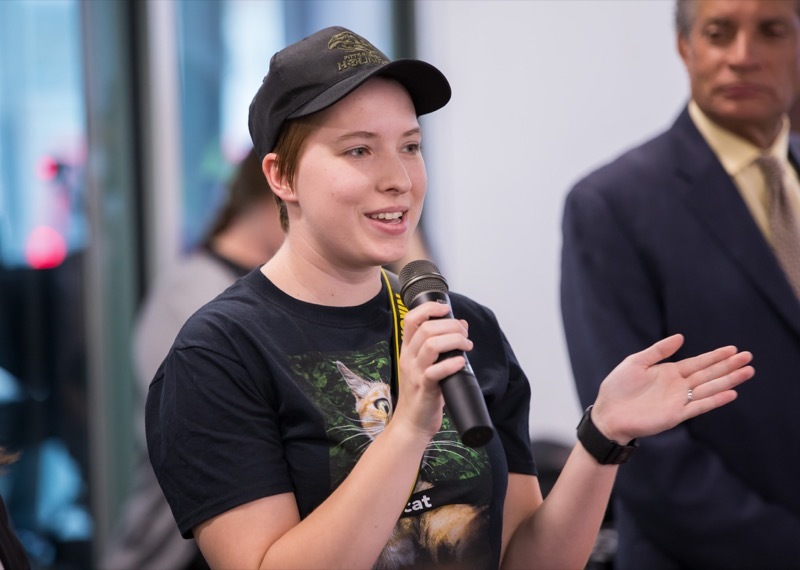 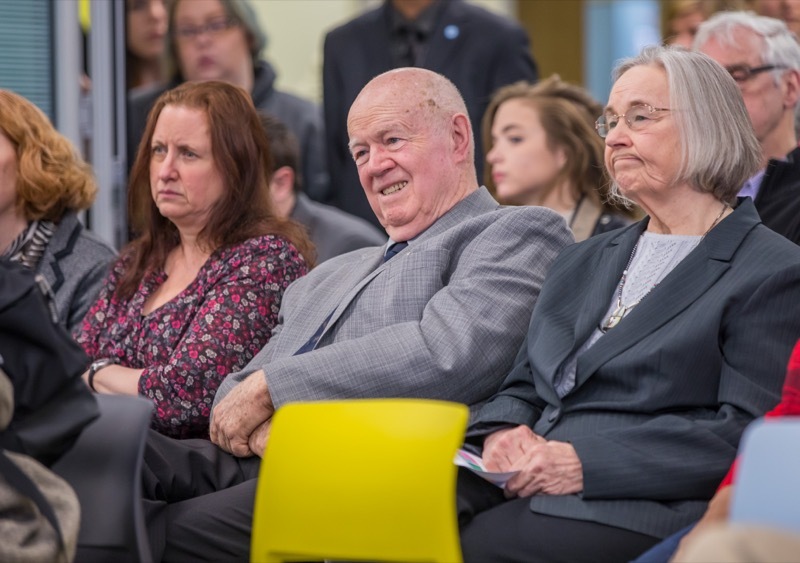 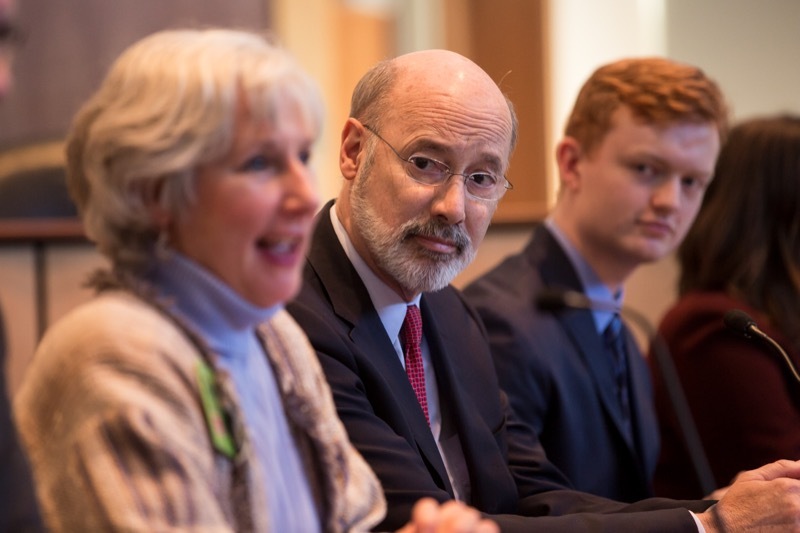 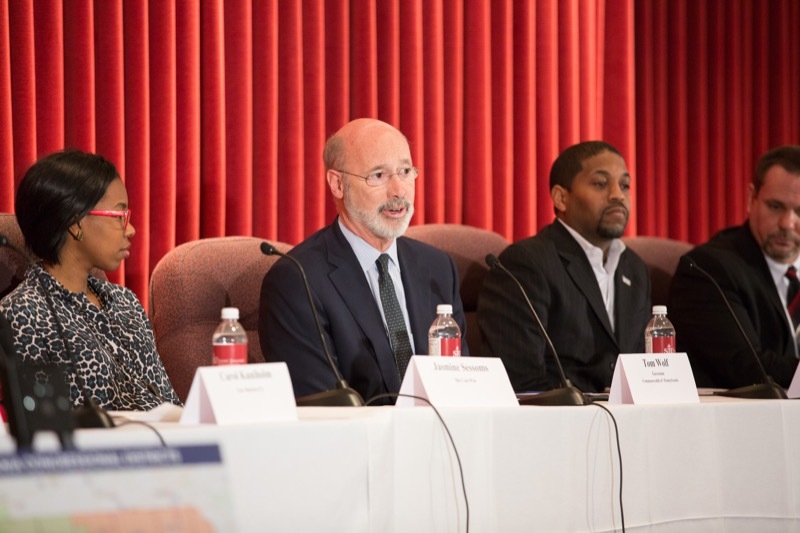 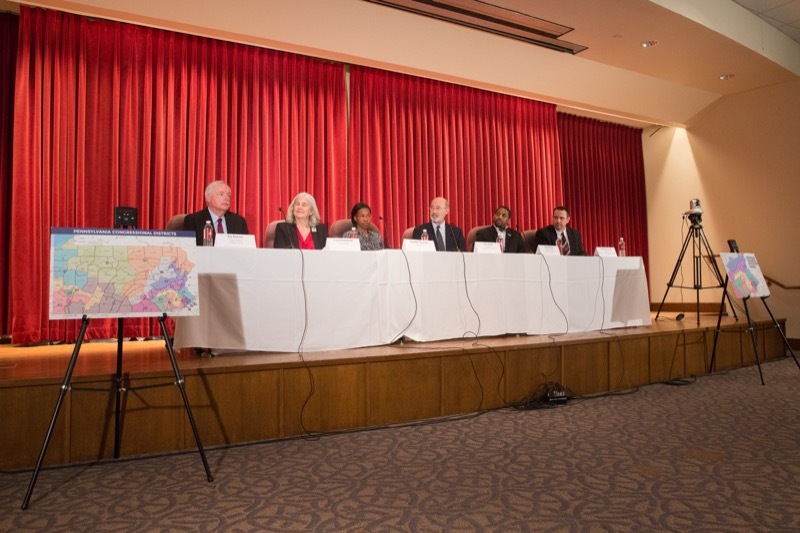 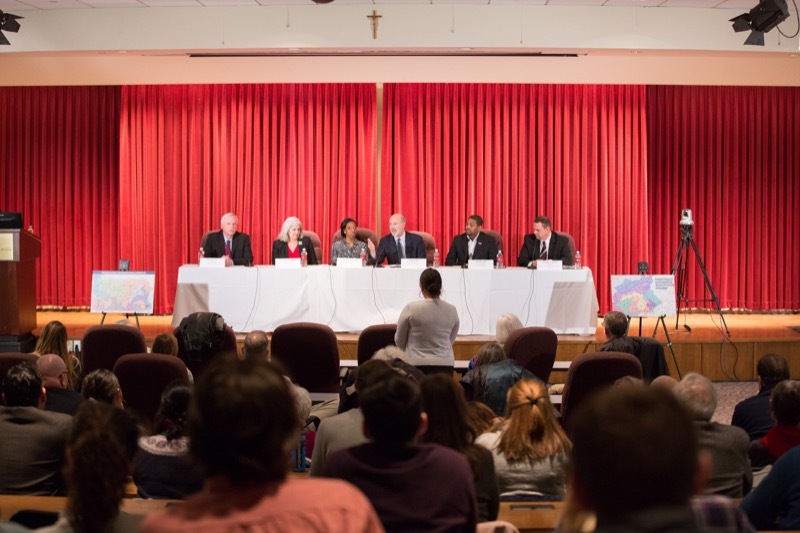 Governor Tom Wolf was joined by Saint Joseph's University faculty and students, community leaders, and residents for a non-partisan panel discussion on gerrymandering in the commonwealth. 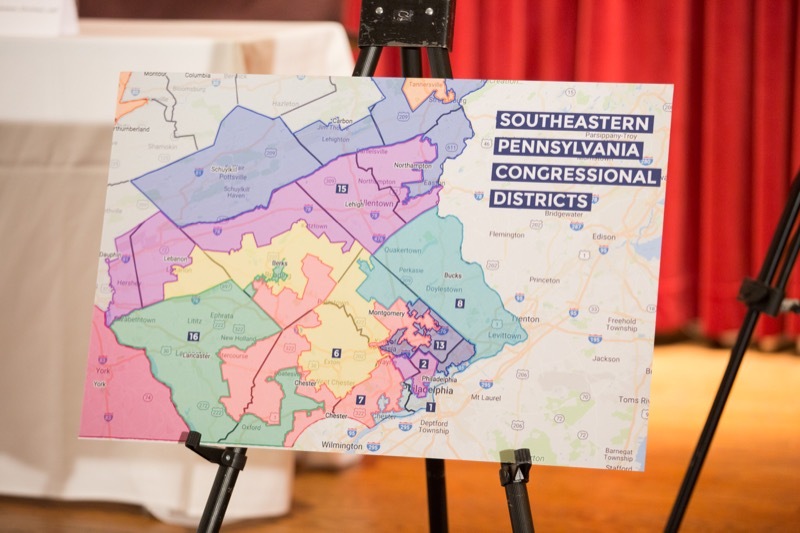 Nearly 200 constituents joined the discussion on how the current Congressional map affects their representation and how they feel redistricting should be approached. 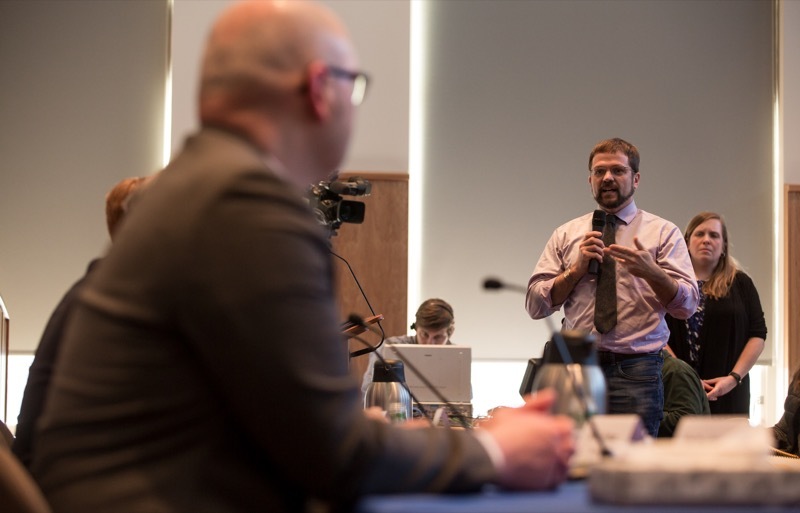 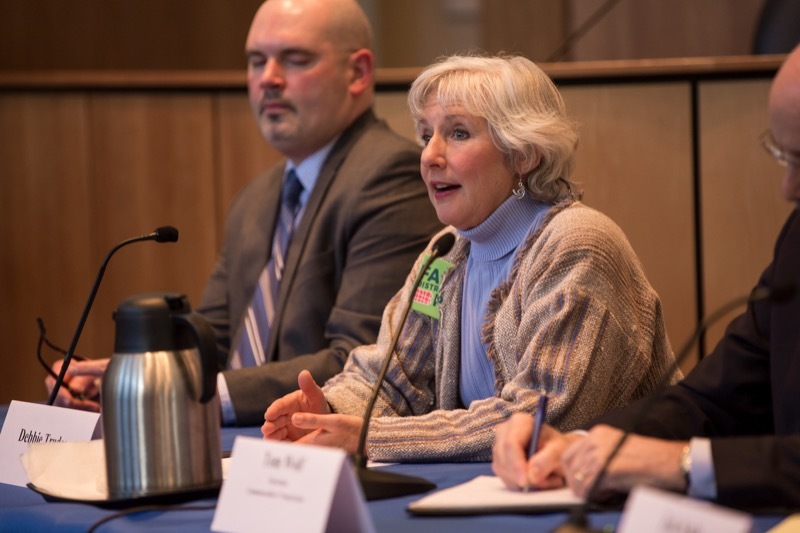 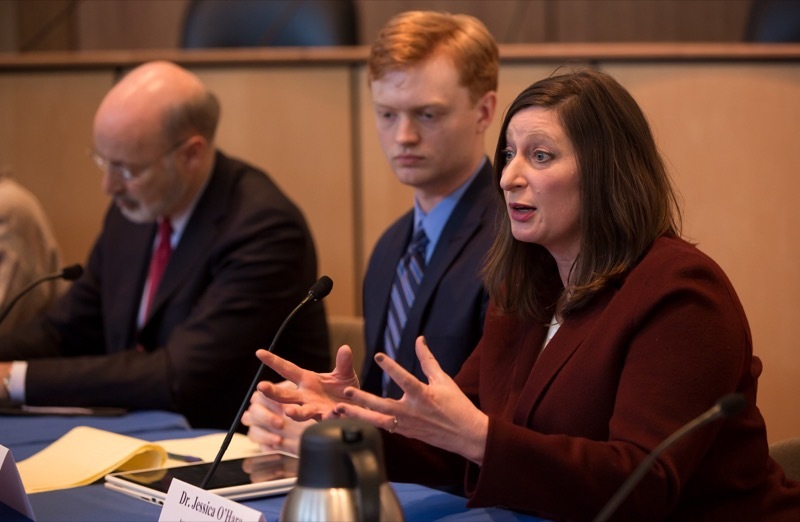 Today, Governor Tom Wolf was joined by Penn State University faculty and students, community leaders, and residents for a non-partisan panel discussion on gerrymandering in the commonwealth. 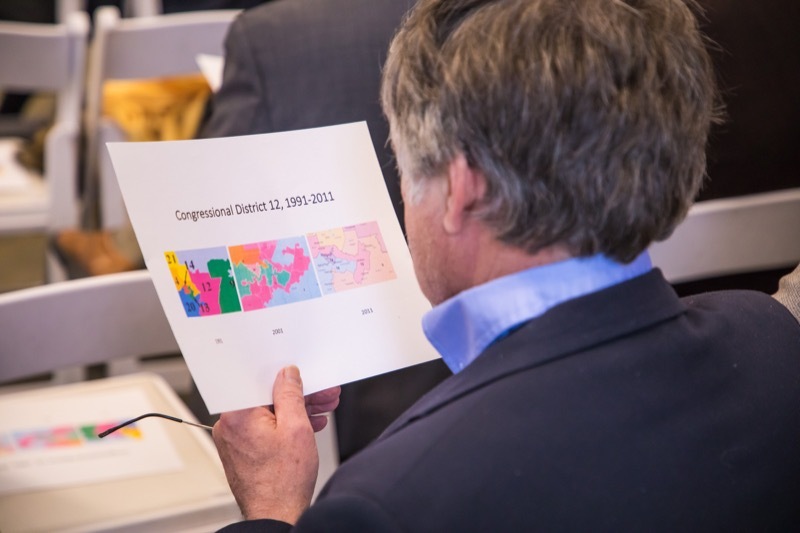 Nearly 100 constituents joined the discussion on how the current Congressional map affects their representation and how they feel redistricting should be approached. 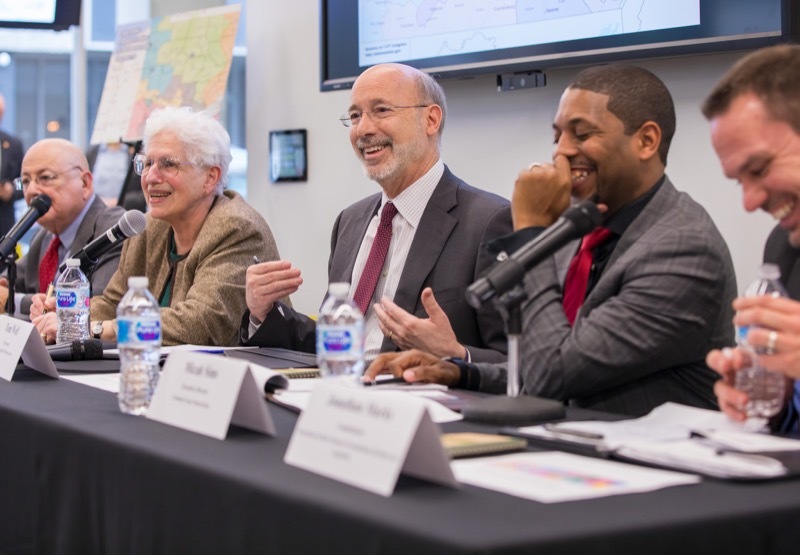 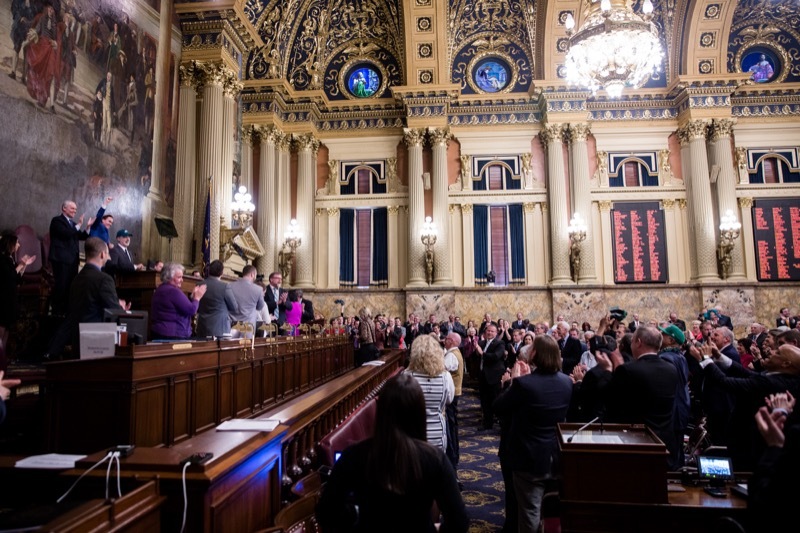 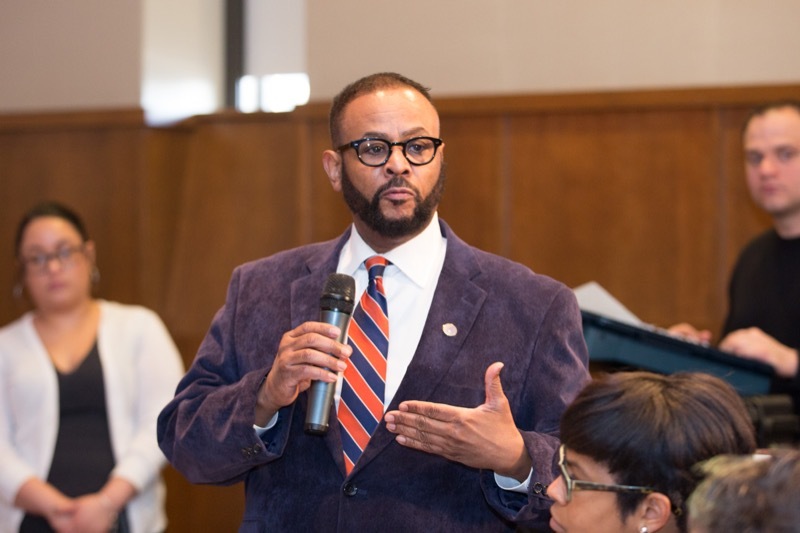 This is the first in a series of listening sessions the governor will hold across Pennsylvania in advance of the February 9 deadline for the General Assembly to deliver a redrawn Congressional map. 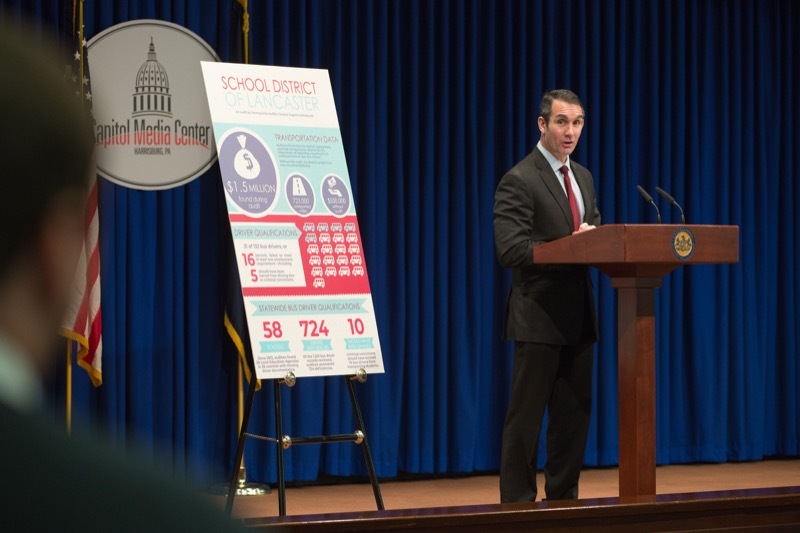 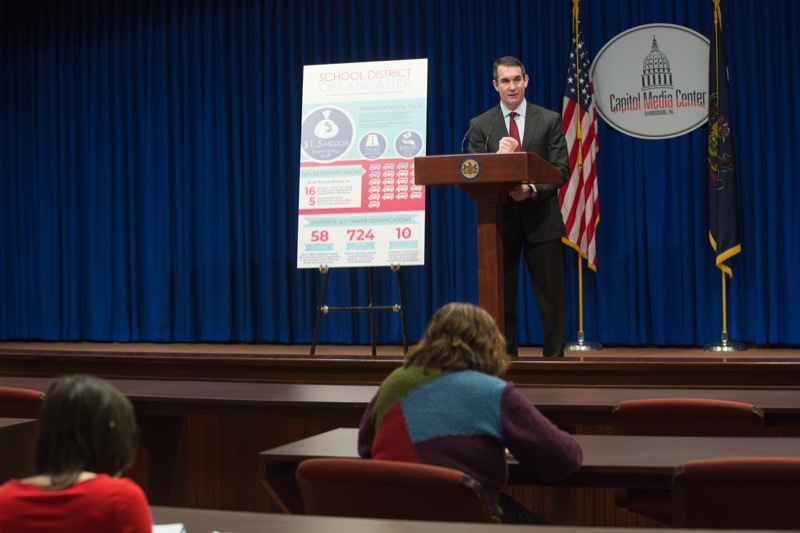 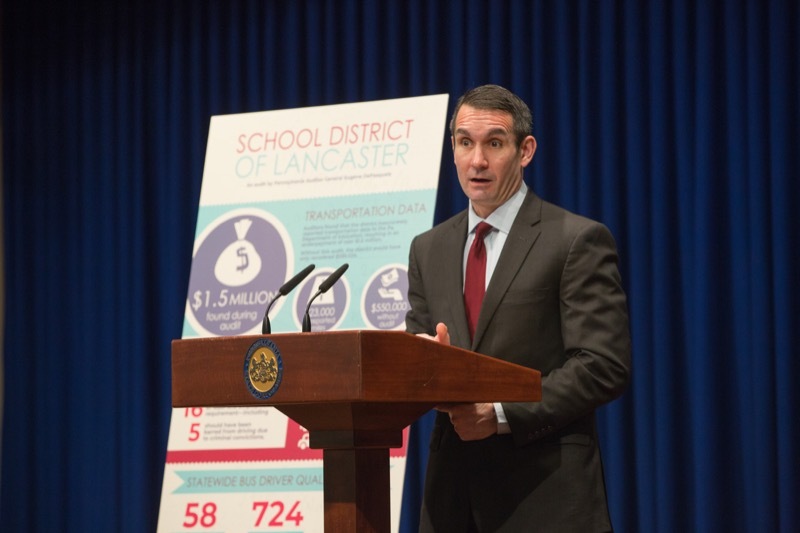 Auditor General Eugene DePasquale today warned school officials statewide to be extra vigilant with bus driver background checks after auditors discovered 10 drivers in various school districts who should have been banned from transporting students because of criminal convictions. 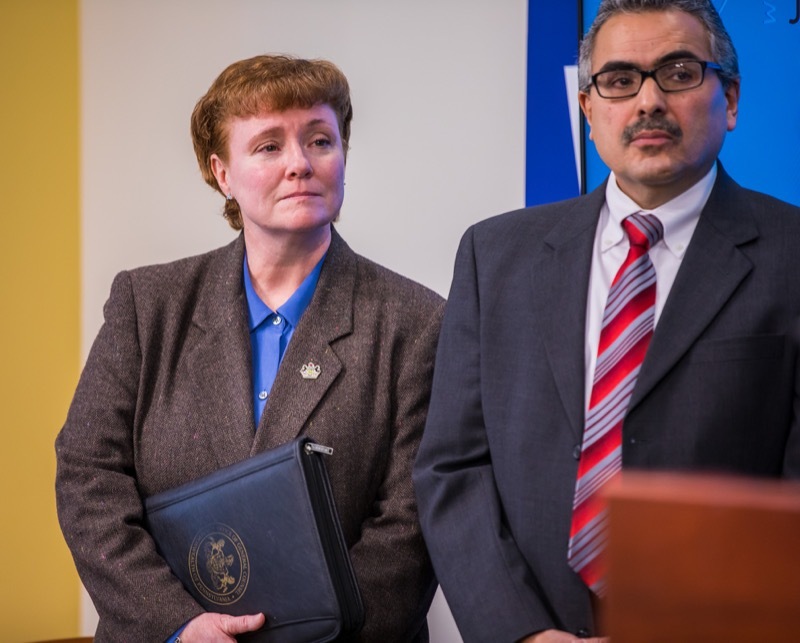 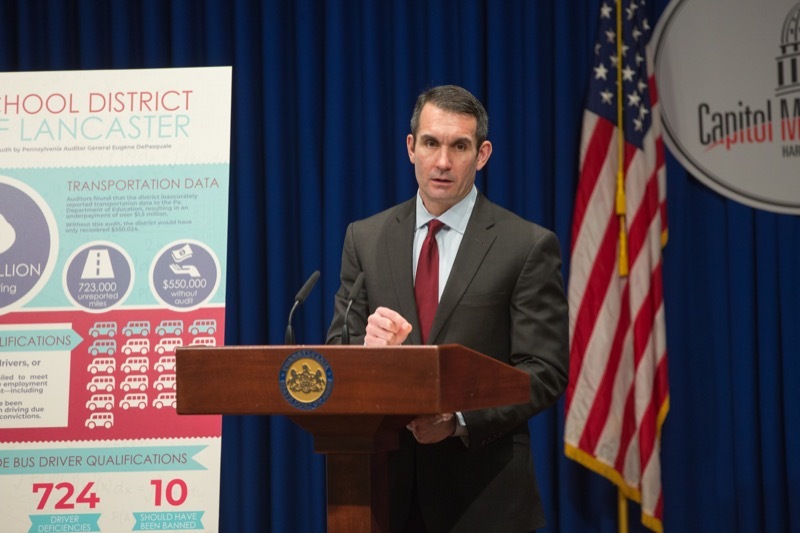 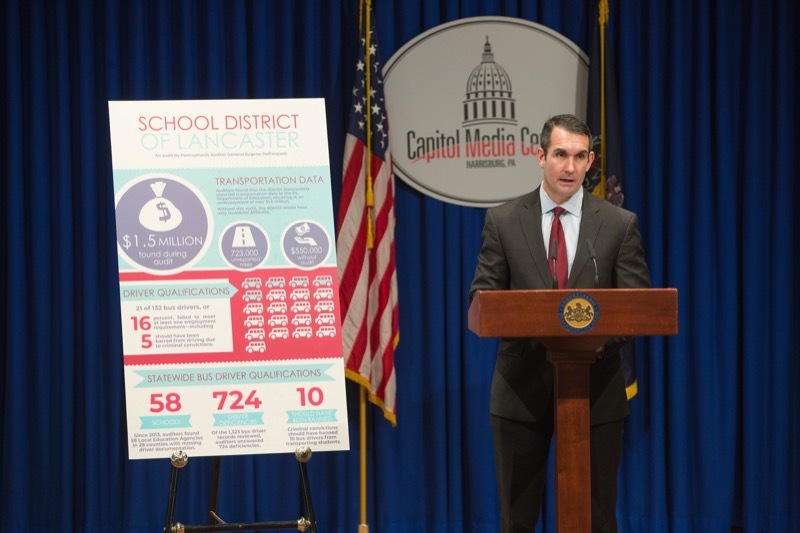 HARRISBURG - Auditor General Eugene DePasquale today warned school officials statewide to be extra vigilant with bus driver background checks after auditors discovered 10 drivers in various school districts who should have been banned from transporting students because of criminal convictions. 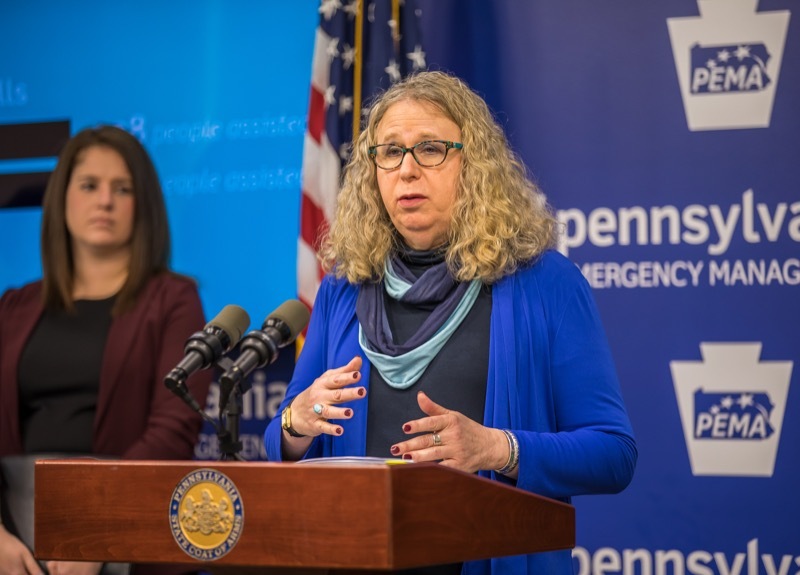 Acting Health Secretary and Physician General Dr. Rachel Levine today warned residents Pennsylvania's confirmed flu cases have nearly doubled in the past two weeks, making this the most severe flu season in recent years. 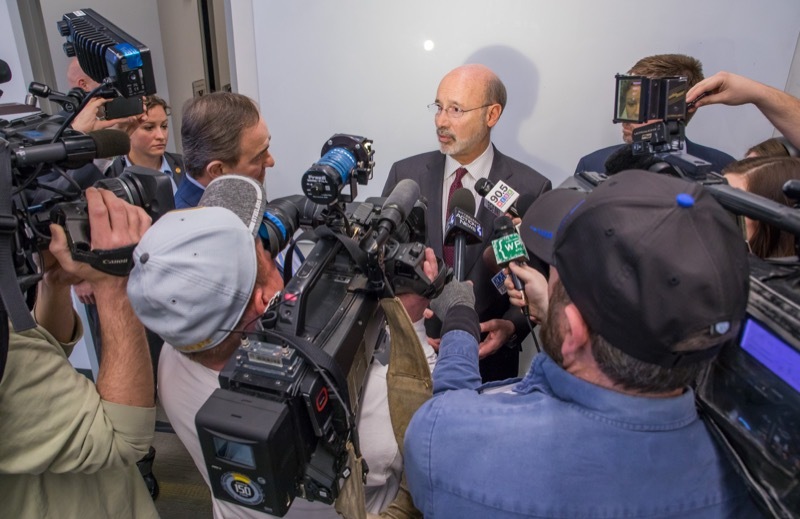 Governor Tom Wolf's Opioid Operations Command Center provide an update to the media on disaster declaration initiatives and command center progress made to date. 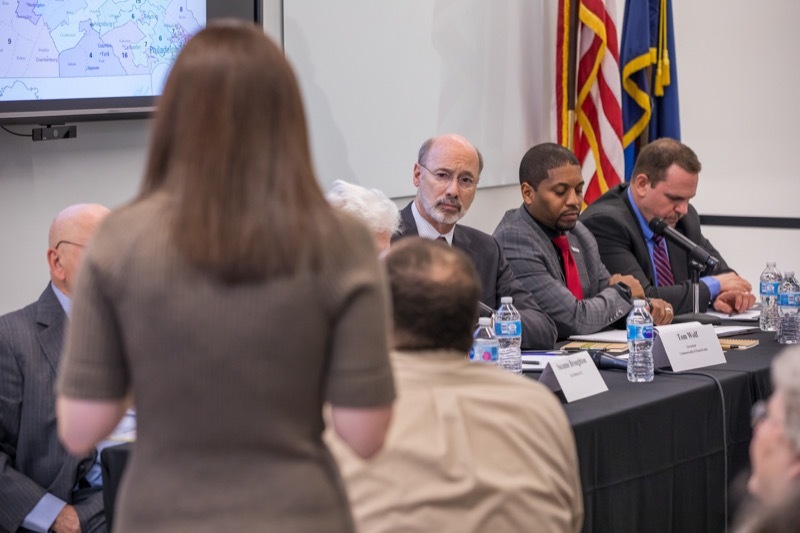 Governor Wolf's Opioid Operations Command Center provided an update to the media on disaster declaration initiatives and command center progress made to date. 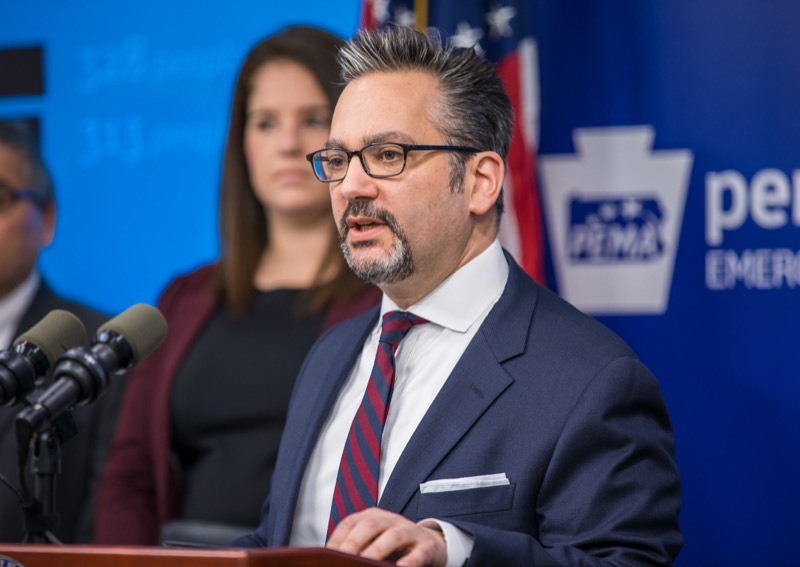 Department of Health Deputy Secretary for Health Planning and Assessment Ray Barishansky provided a briefing on behalf of the command center. 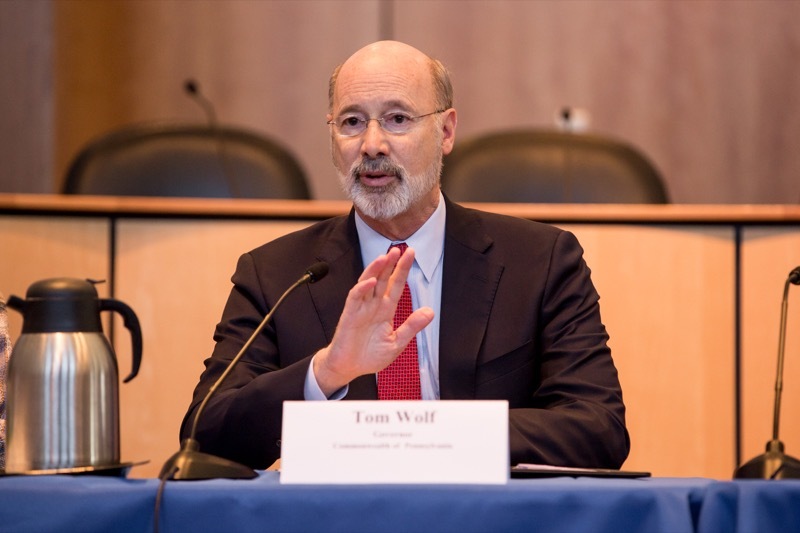 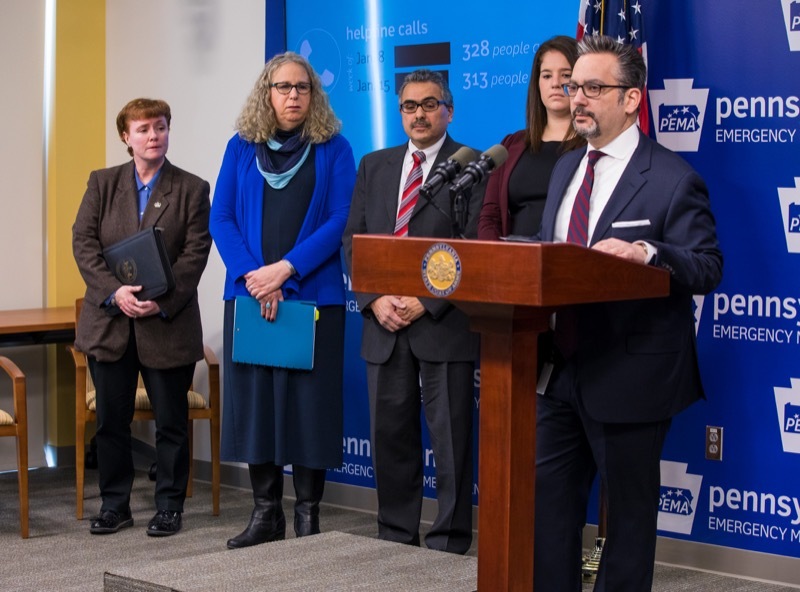 oday, Governor Tom Wolf and the Department of Environmental Protection (DEP) announced the administration's plan to reduce permit backlogs, modernize permitting processes, and better utilize technology to improve both oversight and efficiency. 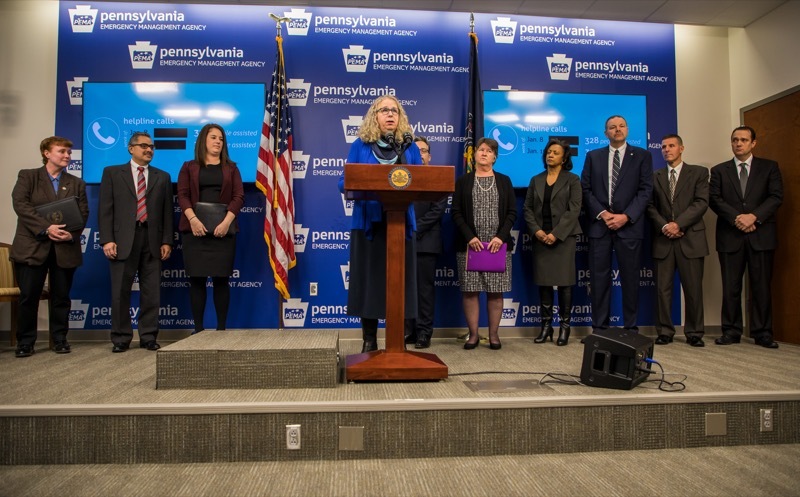 Today's action is a result of a yearlong effort to identify and implement strategies that will help DEP meet the goals of the Permit Decision Guarantee, while continuing to issue strong permits with strict environmental protections. 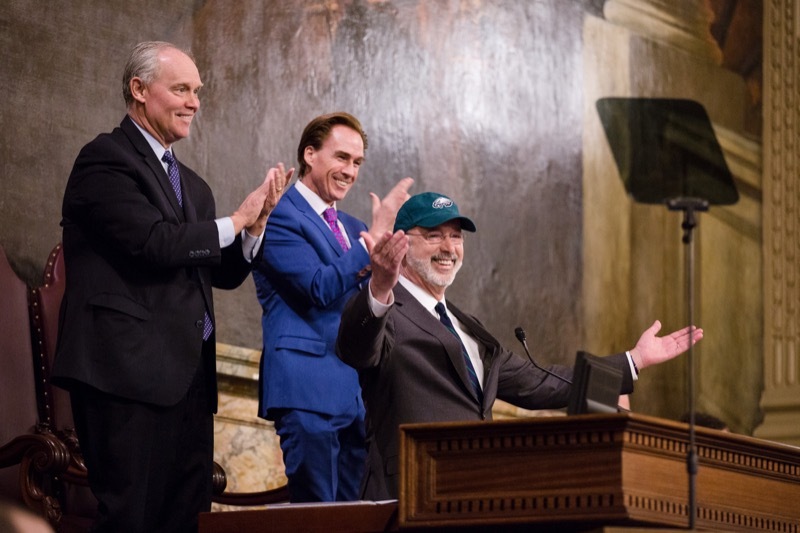 Governor Wolf also announced the administration will bolster DEP staffing, which has been deeply eroded in past budget cuts, to boost these efforts.